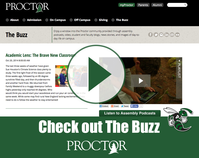 Proctor is well known as one of the least formal of all the New England boarding schools. 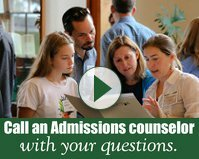 Students call faculty and staff by their first names (read Boomer's '17 post on this! ), we do not have formal, sit down meals as a community, and daily dress code is relatively relaxed (neat and clean makes the cut). 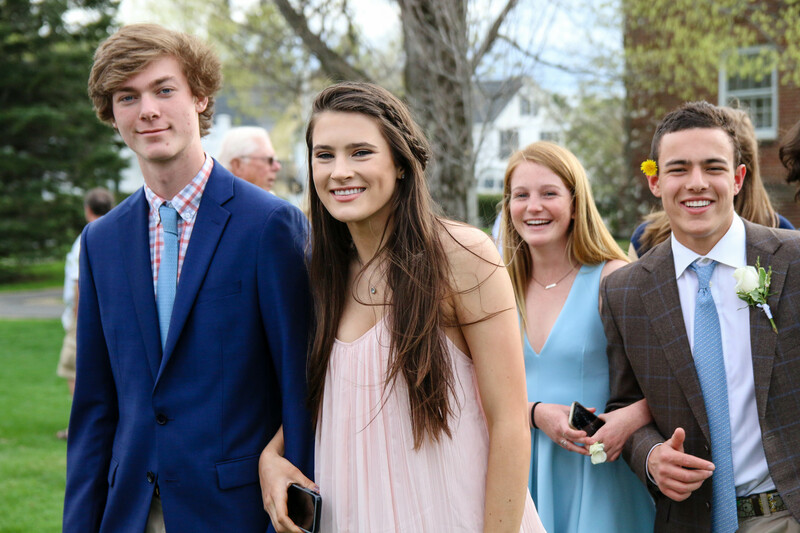 While there are numerous benefits to this informality (not the least of which is happy and comfortable students and faculty), sometimes it’s nice to get dressed up, and Spring Formal provides just the opportunity! Held the final weekend before seniors depart for Senior Project, Spring Formal is the product of an amazing collaboration between our Student Activities office (thank you Erica for your efforts! ), our events personnel (thank you Debbie! 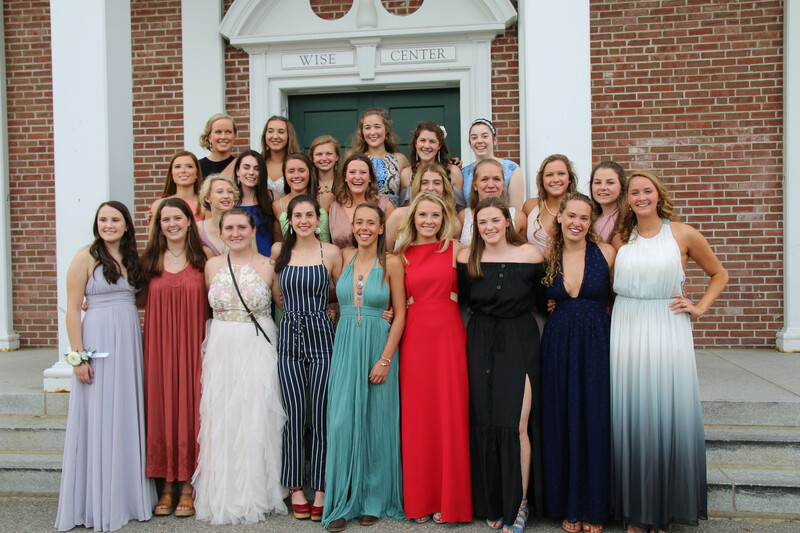 ), the Proctor Academy Parent Association (PAPA), and all of the faculty and staff who helped make both the Green Carpet celebration, dinner, and dance a success. The Green Carpet photo-op in front of the Wise Center and old Holland Auditorium allows parents and students an opportunity to pose for pictures and capture friend groups all together looking their best. 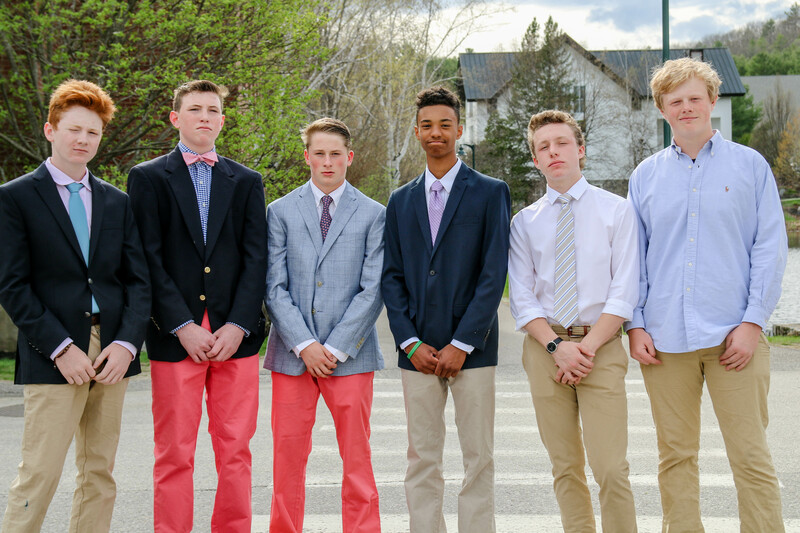 The beauty of Proctor’s formal is the informality of it all. 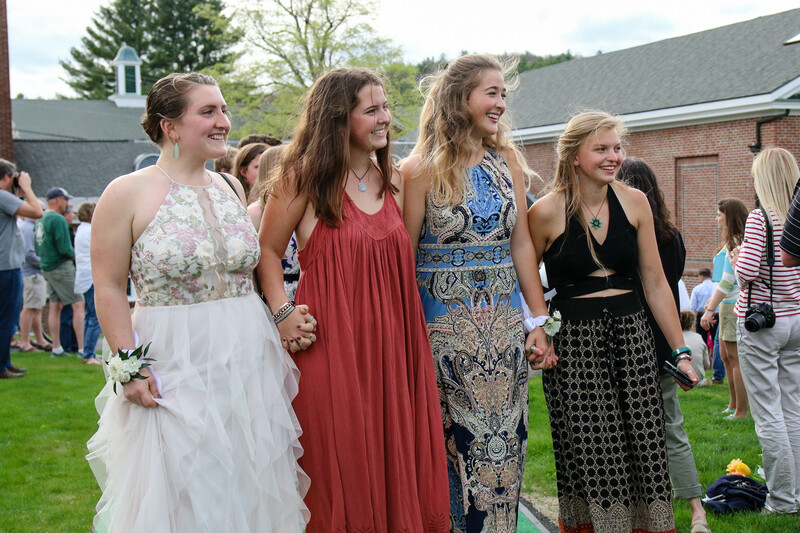 Unlike most proms, ‘formal’ outfits run from tuxedos and gowns to shorts and flip flops. There is no right or wrong way to dress, just as there is no right or wrong way to find a date. 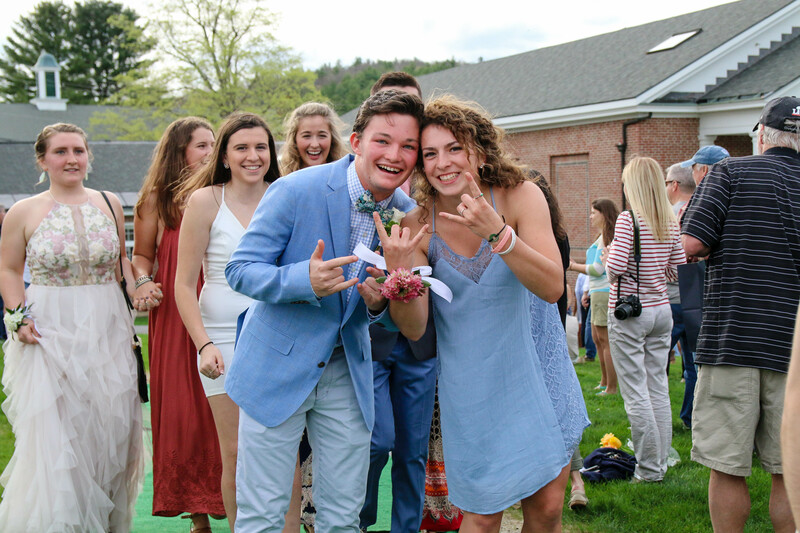 Naturally, some couples go together after a fun and creative ‘proposal’ during assembly, but the majority of students go to formal with friends, or as a group. 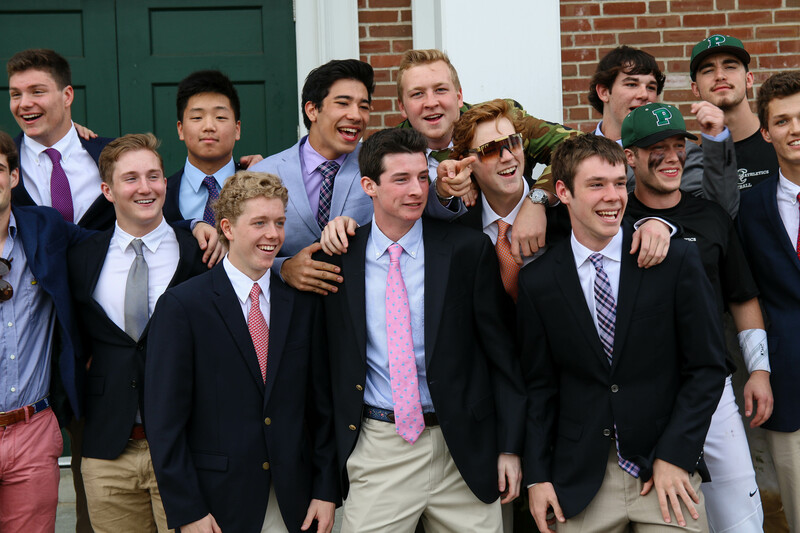 Reports from this weekend's Spring Formal were unimous that it was one of the best ever. Thanks to everyone who made it happen, including Ragged Mountain Resort for hosting and our students for dancing the night away!